Clearer surveillance footage shows Conor McGregor’s phone-smashing actions that led to his arrest in Miami. For those wanting to see clearer, more conclusive footage concerning what led to Conor McGregor’s arrest after smashing a man’s phone at a Miami nightclub, the wait is over. TMZ Sports has obtained surveillance video from the LIV Nightclub at Fontainebleau Miami Beach in Florida (which can be seen above). On the morning of March 11th, McGregor was walking with his entourage, with several people whipping out their phones for picture-taking and/or filming. The victim, Ahmed Abdirzak, has his light on while recording, and McGregor proceeds to approach him. While Abdirzak is backing up but still filming, the former UFC champion lunges and slaps the phone out of his hand. He proceeds to stomp on the iPhone before picking it up and walking away. A lawsuit filed by Abdirzak has since been dropped. However, his court date for the criminal charges is scheduled for May. The surveillance video will be used in this case. 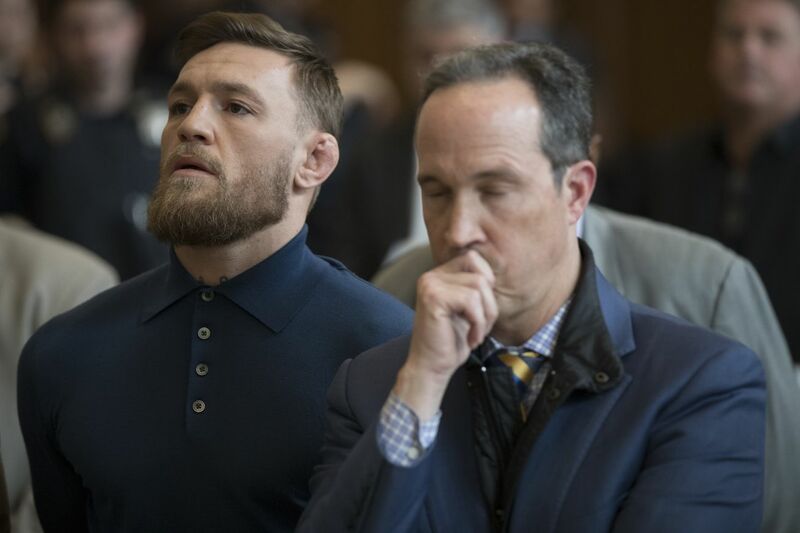 McGregor has pleaded not guilty, per TMZ.